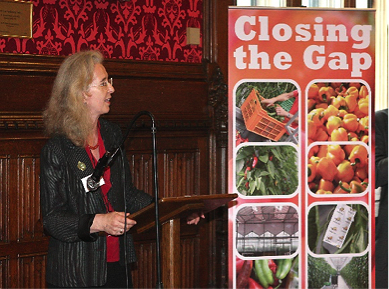 On 23 May, 2018, Epping Forest MP The Rt Hon Eleanor Laing hosted a highly successful event at the Houses of Parliament for the launch of a report by the Lea Valley Food Board and key UK partners. The report, entitled ‘Closing the Gap’, looks at the work of the Food Board over the past four years. The Lea Valley has long been known as an important area of glasshouse horticulture, and is a major UK producer of salad crops. Being on the outskirts of London means that growers in the Lea Valley face many unique challenges, from the high cost and availability of land for expanding their businesses to enticing and retaining workers who may look to London for other jobs. 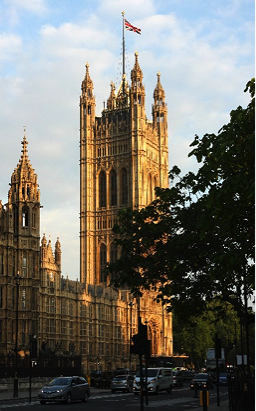 The report discusses findings from the Food Board’s working groups, and new opportunities that were not foreseen for the industry when the Board was formed. For example, Epping Forest District Council and Abbey View Produce are now involved in an Interreg 2 Seas project entitled BioBoost, all about enabling the circular economy in the horticultural industry. Almost 50 guests were treated to several notable speakers at the event, including Ms Laing, Cllr Richard Bassett (Chairman of the Food Board), and two BioBoost project partners – Dr Lydia Smith of NIAB and Dr Belinda Clarke of Agri-Tech East. All speakers shared some specialist knowledge, including Dr Smith who gave an overview of the BioBoost project. They also highlighted the real opportunities for significant growth in the intensive growing sector if a number of identified barriers could be addressed. Before and after the speakers, guests were able to network and ask questions about the BioBoost project and other topics. 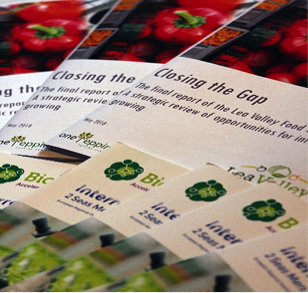 Partners are now looking to come together in a South East Strategic Food Board to take forward the recommendations in the ‘Closing the Gap’ report.